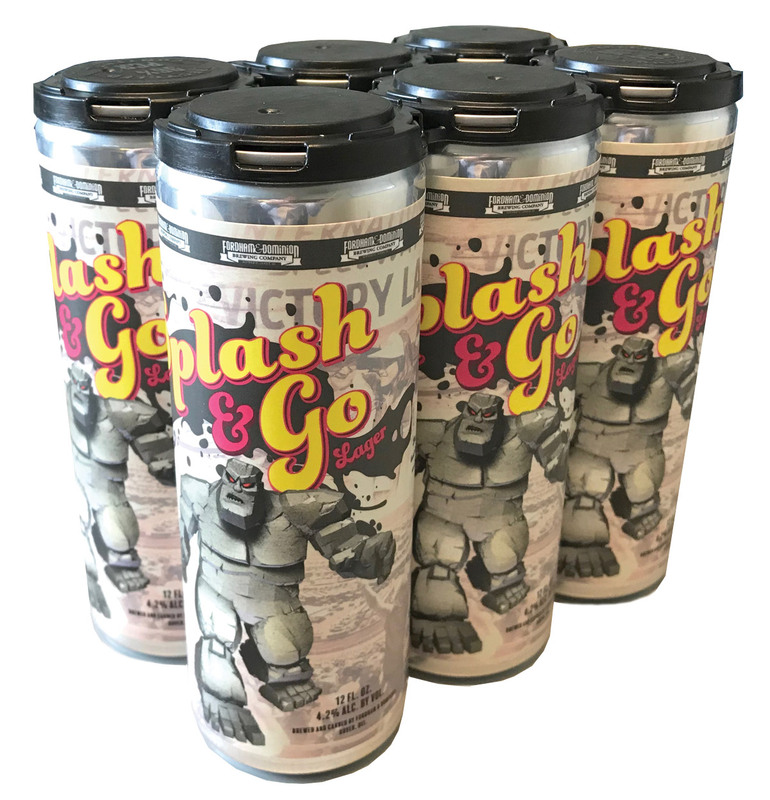 As part of the Splash & Go launch, Dover International Speedway will host a beer release party on Thursday, Jan. 31 at 6 p.m. in the Winner’s Circle Restaurant at Dover Downs Hotel & Casino. The party is open to all, and Splash & Go pints will be available for $5. All visitors who purchase a Splash & Go pint will receive a free Splash & Go pint glass, while supplies last. The launch party will also feature a special “Splash & Go Spectacular” horse race as part of Dover Downs’ regular live harness racing card. Post time for the first race on Jan. 31 is 4:30 p.m., with the Splash & Go Spectacular, the ninth race of the evening, scheduled for an approximate 7 p.m. start. The first batch of Splash & Go was canned at Fordham & Dominion’s Dover headquarters in late December. The cans feature the track’s icon, Miles the Monster, along with distinctive Dover race photos. Splash & Go is the first beer that Fordham & Dominion has produced on an all-new, state-of-the-art canning line it recently installed. Bar and restaurant customers can also look for a distinctive Miles the Monster Splash & Go Lager tap handles. For specific locations where Splash & Go will be sold, beginning Feb. 1, visit www.fordhamanddominion.com. Dover’s May 3-5 NASCAR tripleheader weekend includes the “JEGS 200” NASCAR Gander Outdoors Truck Series race on Friday, May 3, the NASCAR Xfinity Series Dash 4 Cash race on Saturday, May 4 and the Monster Energy NASCAR Cup Series race on Sunday, May 5.